News: FS firms are under increasing pressure to innovate in order to keep their customers. Real-time operational intelligence solutions are being deployed by four of the UK’s largest financial services firms. The solutions from Splunk are being delivered by the UK-based IT services firm ECS to clients including Nationwide Building Society. ECS is working with clients to improve their IT, security and business insights using Splunk Enterprise and Splunk Cloud in addition to Splunk Enterprise Security. The reason for deploying these solutions is to help organisations to analyse the large amounts of events recorded by their technology estates and to identify then respond to issues quickly. Financial services firms have been increasingly looking at technological solutions to their problems as they modernise their existing IT estates in order to better service customers and to fend off competition from more agile fintech start-ups. Banks such as Santander have been proactive in recent months in rolling out services such as voice assistant for mobile banking customers. HSBC meanwhile has gone down the biometrics path for mobile banking with voice and fingerprint security. In addition to further expanding their mobile banking capabilities, a large number of financial services firms have been developing blockchain solutions, or at least looking at how the technology can be used in their systems to reduce costs, speed up money transfers and generally improve customer service. 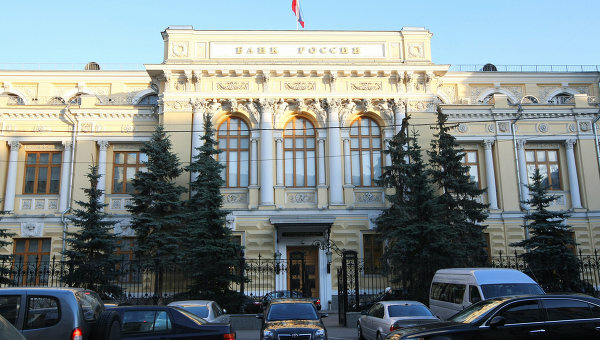 The Bank of Russia, the country’s central bank has also become more proactive with its use of technology. The bank is using machine learning and data analytics from Yandex Data Factory in order to identify websites hosting illegal cash loan providers. The machine learning service will find web pages related to microfinance and consumer loans and evaluate the legality of financial organisations. This is done by using keyword analysis across a search index owned by parent company Yandex, the search index has identified seven million web pages related to finance topics. Bank of Russia used the service to sort through and categorise 8,000 web pages and found 2,500 suspicious organisations. After being identified a set of reports are automatically generated and sent to the Bank of Russia with details of the organisations pulled from the search. With the information, employees from the bank are able to provide feedback and classification for each website identified which helps the algorithm to learn and improve. Alexander Khaytin, COO for Yandex Data Factory said: "When it comes to consumer loans, illegal activity is rife and many people fall victims to scams." Machine learning technologies have really hit the mainstream in recent months with major vendors such as Google, HPE and Microsoft all pushing the technology. This push from vendors has seen financial services start to adopt the technology in addition to organisations in the public sector such as the MoD. The MoD recently revealed that it had incorporated machine learning technology to help support its operations. With vendors actively pushing these technologies and financial services under pressure from the agile fintech start-ups there is likely to be an increasing amount of technology deployments.